The trouble with being a philosopher is that you struggle to take things at face value. 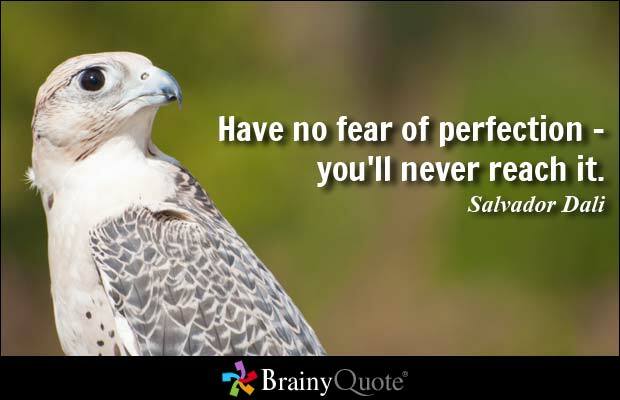 Perfection for example – what constitutes it and how does one go about achieving it. The front garden of our terraced house in Dublin was fine but boring, large shrubs bordering on becoming trees with the lawn consisting mainly of moss. 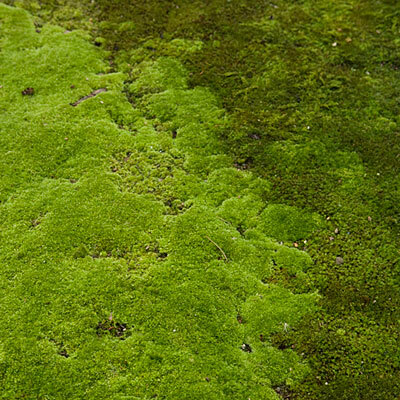 Not that there is anything particularly wrong with moss, in fact my brother once wrote a poem in praise of moss, congratulating it on its evergreen properties, its resilience, its total lack of need for any additional sustenance and, most spectacularly, its absolute refusal to require mowing. About a year ago I removed most of the shrubs and almost trees but then ran out of ideas and enthusiasm – i had not improved it. A typical occurrence when we try to improve things in our lives, externally or internally, the demolition work must be done first and often we fail to persevere onto reconstruction. I planted a white blossoming hydrangea in the center of the garden on a whim and a prayer and was stuck again, whim exhausted, prayer unanswered. Acerbic comments by family and attempts at humour by the neighbours combined to revitalize my enthusiasm. I determined to show them all and create the perfect garden. A couple of years ago i had received the somewhat backhanded compliment from a friend who admiring my back garden – yard really – announced, “I didn’t think you had it in you to create such a space”. Time to expose my obvious abilities to the passing world and tackle the front garden. Which is where my philosophical musings stepped in – what is a perfect garden, how would you recognize it, what does ‘perfect’ mean. To simplify matters, and get the garden done over Easter, i decided to restrict my internal debate to what a ‘perfect garden’ might be and to leave the larger issues of what ‘perfect’ might constitute, if it exists, for another day, or days. So, a perfect garden would be one that gives delight to most people most of the time. I liked that definition and added to it, ‘viewed from any direction or aspect’. The garden, small though it is, being measurable in yards/metres without have to exceed the use of your fingers for counting in any direction, is interesting from a light point of view in that it faces north-east in south Dublin. Bordered to the front by a granite wall – our own Hadrian’s boundary with the barbarians, as in Roman times, to the north, to each side by a cast -iron fence and backed by the red, or rather orange, brick wall of our house. Such is the setting and, of course, contemplating it made me aware that perfection, especially when it comes to gardens, depends greatly on size, orientation, surrounds, location, location, location, climate, soil type and so on. In other words, even if i created a perfect garden in my front garden it would probably not be perfect in any other garden. A useful lesson and one which most of my favourite authors express in words such as, “Change yourself, don’t try and change others, Improve yourself, don’t try and improve others, Mind your own patch and the world will be a better place”. The rising sun illuminates the garden and then, as it moves south, the border of sun-light retreats to the granite wall and a linear bed of daffodils i planted a few years ago. Then, in the evening, the sun comes round to the west and, as the seasons progress, advances further and further until it heats the orange bricks of our home as it sets. How about a white garden i thought – encouraged by my hydrangea – well white and yellow as i could not remove the cheerful daffodils who welcomed in each Spring and who had been joined by some primroses, floral memories of a country youth in beautiful Sligo, which i had planted earlier while still tinkering at the edges. 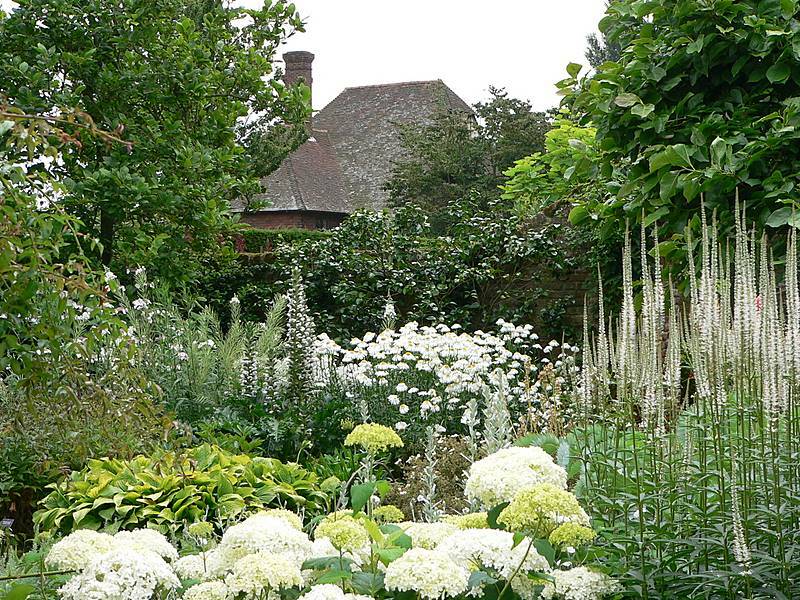 I decided i would create a white garden, partially in homage to that world-famous white garden at Sissinghurst Castle in England and partially because if white could not be perfect, what could?. Besides if it worked for Vita Sackville- West, it might work for me. Have i mentioned that i am an amateur gardener? Thinking about Sissinghurst made me realize that there are other issues which would influence the creation of a perfect garden, issues like resources – i didn’t have an awful lot of money to spend and i was going to do all the work myself, time – even the most perfect garden would take time to develop and reach that state of perfection – unless you purchased fully grown plants but that feeds back into the resources issue. I took my spade and old shoes and started to clear the moss and weeds and to remove the last conifer – this tree had been subject to considerable familial discussion. Located, as it was, in front of the window, its presence was always a privacy vs light debate. Light prevailed; lets hope it always does. I dug a bit, planted a bit, the design evolving as i worked and as i lay in bed each night before sleeping the deep sleep of the active gardener. Not all comments were positive; the neighbours encouraged me though – probably thinking that whatever i produced could only be an improvement, unless of course, i made things so bad that i had no choice but to employ a professional gardener. As i contemplated a white garden and looked around me i realised that my neighbours houses were a sea of red brick, purple slate and white paint. I decided to pave my small paths, designed to curve across the garden to break up the flower beds, with broken slate and red brick stepping stones. Half buried flower pots reflected the abundant chimney pots – all these old houses have so many chimneys. My garden would mimic the street. A pile of excess clay, a small, now unwanted, rockery beside the front gate and some loose rocks uncovered in my excavations brought about a granite rockery in front of that now rather naked window. My geological knowledge contributing to its construction. I sensed perfection approaching. My early efforts of introducing art into my life mainly consisted of Dali prints on the walls of my student hovels. A few more trips to the garden shop, sea-thrift – so beautiful, carnations, viola, delphiniums and lilies fleshed out my garden. A tree peony planted, and then replanted, pushed its head through the soil and looked around – amazed to see how the garden had been transformed in the few short days it had kept its head down. My neighbour decided to remove his hedge, the hedge between his front garden and mine – i took it as a compliment or at least a sign that he recognized my efforts improved the overall vista. The path to perfection threw up a few more, obvious after the event, lessons. My neighbour’s gardener, kindly removed my remaining pile of scraws. Scraw is one of those magical words, a Gaelic word which just means a piece of turf but seems to embody the characteristics of a piece of moss or weed infested soil whose future is elsewhere. My neighbour himself offered me some plants which proved to be just perfect for a few remaining awkward places. He invited me to dig out a small tree – i could have it if i could remove it – and have it i did. Anything perfect will, most likely, involve the kindness and contributions of others; strangers, neighbors, friends, family. The removal of the small rockery inside the front gate had left a gap, a void which needed filling, and this small tree was perfect providing a bit of necessary height while the other plants settle in and grow and, hopefully, fulfill their potential. “It will look terrible in winter, bare and nothing but soil”, announced my son. Perhaps an approving majority would suffice for perfection to be acknowledged. A valid point nonetheless – my inexperience means that i can only guess at what it will look like in winter and i will have to add and modify and alter for at least twelve months before i can make any claim to perfection. More encouraging words from my neighbours, “Nearly finished” – more statement than question. “I just need to soften the edges of the paths“, I replied and received the unarguable response, “We all benefit from a softening of our edges“. Philosophy in gardening, philosophy in banter with the neighbours, philosophy in life. Perhaps we will rename our street. 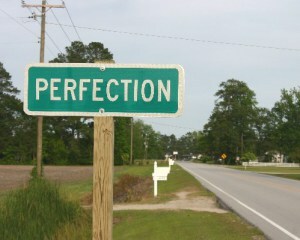 Striving is its own form of perfection.